CT8 1.10cts 7.5 x 5.6mm pearshape Tanzania SOLD Very good cut and polish, eye clean, intense medium chrome green, very hard to find quality with this great color! CT12d 1.35cts 6.65 x 6.5mm cushion Tanzania SOLD Good cut and polish, eye clean, intense medium chrome green, very hard to find quality with this great color! PT146 .53ct 5.2 x 4.8mm oval Brazil (Paraiba) $400. Good cut and polish with a moderate window, nice bright gem, saturated medium tuquoise blue-green, lightly included throughout. Gemstone Enhancement Code: heat. PT148 1.29cts 8.5 x 5.8mm oval Brazil (Paraiba) $1,600. 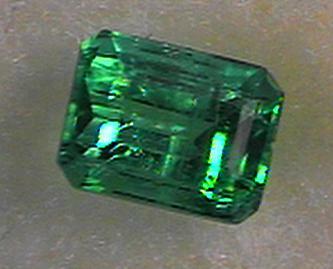 Good cut and polish with a moderate window, nice bright gem, saturated medium emerald green, lightly included throughout. Gemstone Enhancement Code: heat. PT84 .14ct 3.1mm round Brazil (Paraiba) $70. PT106 .31ct 5.6 x 3.6mm pearshape Brazil (Paraiba) $200. Good cut and polish, nice bright neon aqua blue, light to moderately included throughout Gemstone Enhancement Code: Heat. PT109 .06ct 2.7mm round Brazil (Paraiba) $60. Excellent cut and polish, bright medium sky blue, eye clean Gemstone Enhancement Code: Heat. PT117 .05ct 2.7mm round Brazil (Paraiba) $25. Excellent cut and polish, intense neon turquoise green, super bright little accent gem Gemstone Enhancement Code: Heat.